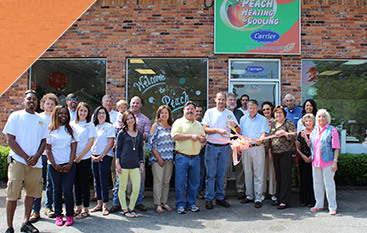 With all the demands on a homeowner’s time, we at Peach Heating & Cooling are happy to make it a little easier to stay cool and comfortable all year long. From installation to maintenance and repair, our skilled technicians are ready to take care of all of your HVAC needs. Our HVAC experts are happy to work with you on finding the right systems for your family or business. Our technicians are fully qualified to provide all the heating and cooling services your home needs. 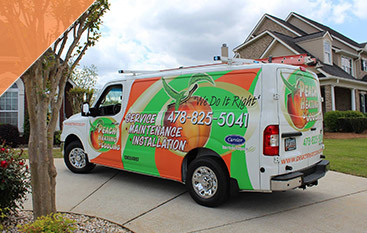 Whether you need a brand-new system to replace an aging air conditioner, an energy-efficient upgrade to cut your utility bills or a whole system for a newly constructed home, our installation team is there to take care of your needs. Before starting the project itself, we’ll do a load calculation to make sure the new system is sized perfectly for your home. HVAC systems are complex machines that depend on many parts to run well, and they endure plenty of wear and tear as they keep you and your family comfortable throughout the year. The best way to stave off the issues that can come with that wear and tear is to invest in professional maintenance. During each service visit, we’ll inspect your HVAC system thoroughly, clear up any small, emerging issues, and make adjustments to improve energy efficiency. Thus, you’ll save money on your utilities and even more down the road on expensive repairs and system replacement. Of course, even a well-maintained system has a chance of running into an issue at any time. That’s why our repair team is available 24 hours a day, seven days a week, all year long to take care of emergency heating and AC repairs. Even for non-emergency visits, we offer flexible hours and make our repair customers our top priority. If the repair is serious enough to warrant a possible new system, we’ll help you compare repair and replacement options fairly to make the best choice for you, your home and budget. All of our services are performed by licensed, insured HVAC professionals. They’ve been through extensive training and have demonstrated their ability to repair and maintain all makes and models through a rigorous certification process, so you can rest assured that you’ll be getting only the best service. 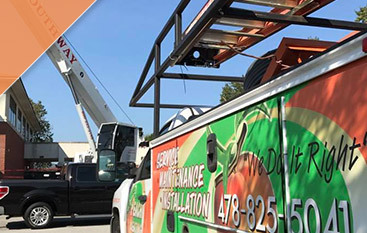 Whether you need AC repair in Byron, heater maintenance in Warner Robins or a new HVAC unit in Perry, we are prepared and qualified to get the job done.